Every time I hear one of those disgusting comments I want to scream. No! Being good is ALWAYS better than being lucky as a life choice. Does luck exist, sure. I have a friend who won two million dollars in the Illinois lottery and another who was killed by lightning on a golf course. If that isn’t a fine example of good and bad luck, I don’t know what is. But my friend didn’t plan his life around the obscurely long odds of hitting the lottery, no, he went to college and worked hard to get a degree in marine biology. I write novels. With the exception of my first one, I self-publish. Like most authors the dream is to see one’s book land on the New York Times Bestseller list. One needs to sell a lot of books, both print and e-book, to make the list. There is an author named Hugh Howie who wrote a book called Wool. He self-published a series of novellas with each one building on the story before it. When they were done he bundled them and published it as a single book. To jump to the end, he made the NY Times list…twice. If you go to Amazon his book has 4,324 reviews as of April 10. I list the date only because two weeks ago there were five hundred fewer. By the time this gets read, it will be more. I plan on adding one. Five stars! An author I know on social media said he hates stories like that because they don’t represent what happens to most authors. It is mostly luck. No! It is not mostly luck. It’s hard work. It wasn’t Howie’s first book, it was his ninth. Most people hadn’t heard of Amanda Hocking until her eight self-published Kindle novels netted her 1.5 million dollars in January of 2011. She later signed a 2 million dollar deal with a traditional publisher. The whole idea that “it doesn’t happen for most authors” is the dumbest thing I’ve ever heard…and I used to own a Partridge Family album. You know what, “it” whatever “it” might be, doesn’t happen for most people. Most who play sports don’t compete in an Olympiad. Most who play golf never pull on a green jacket. Most photographers don’t get to shoot the cover of Sports Illustrated. Most authors never make the New York Times Bestseller list, either. Do you know why? Because they have failed in one of three areas. They are poor writers. They don’t have the patience to write that next book when their first one sold less than one hundred copies. They don’t put in the effort marketing and are afraid to ask for the sale. So, why would someone say something so horrible? Are they psychotic loners who collect David Hasselhoff memorabilia? Yes, most are, but that isn’t why they do it. They do it because they already know they’ll never be successful. When they’re alone at night with their bootleg Bay Watch video tapes (in German with English sub-titles), they think about the effort it takes to write book after book. They lament how it is unfair that they need to do the marketing, too. They think hiring an editor is a waste of time because nobody really cares about that sort of stuff. They already know failure is eminent and they’re planning the conversations they’ll have with their friends. “Sure,” his friend said, nodding, though he had read the first abysmal chapter of his friend’s debut offering, “Bikini Shark Killer” and knew the real reason. I don’t need luck. 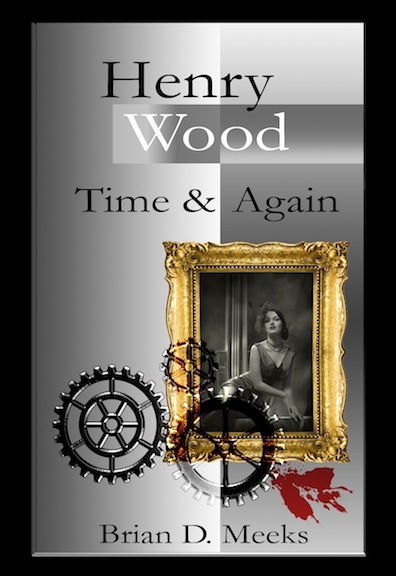 I sold just over two hundred copies of my first book, Henry Wood Detective Agency, and almost 1,300 of my non-fiction title Two Decades and Counting. That is miles away from even getting in the same ballpark as the books that approach the NY Times list. I don’t care. I’m going to make it. You know how I know, because people like my writing. I work hard at marketing and social media. I’m willing to keep at it. 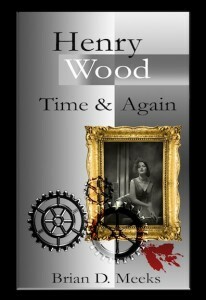 The first day of making Henry Wood Detective Agency free has yielded 1,161 downloads as of 10 pm. Some of those people will read it and become fans. Next month, I’ll release another Henry Wood book, Perception, and keep building throughout the summer. I have a plan, I don’t need luck. 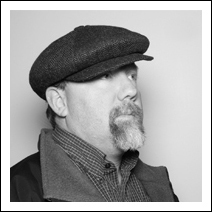 You can follow Brian Meeks on Twitter at @extremelyavg. This entry was posted in Social media for business by barrett. Bookmark the permalink.